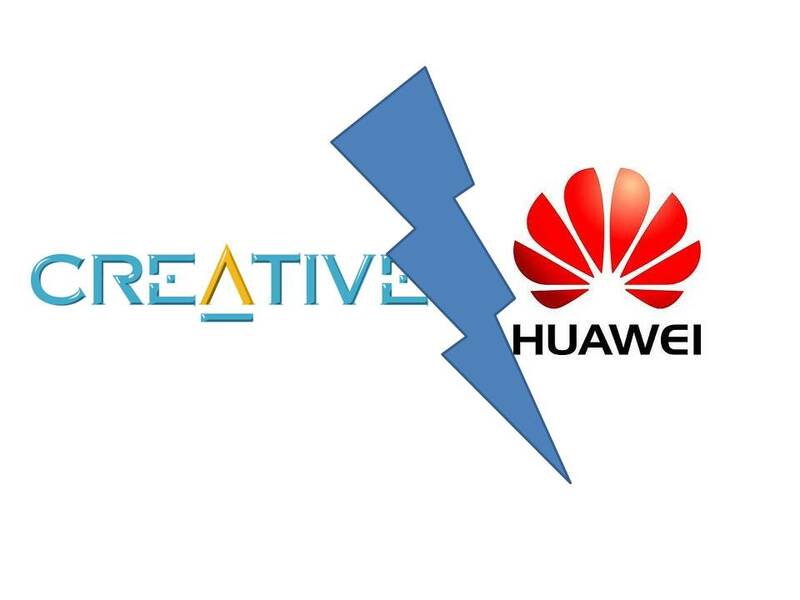 Creative is sueing Chinese tech giant HuaWei for US$9.3 million. During the latest quarter financial result, Creative blames a supplier for not delivering some of the telecommunication equipments for its subsidary Qmax WiMax broadband project. It turns out that this supplier is Chinese tech giant HuaWei. The details on what went wrong between HuaWei and Qmax in their WiMax project was not known. i am buying tomorrow. i will share my idea on how to work out this later on. Thought Creative was once bitten by Apple and it should be twice shy. Creative is naive in its business relationships and it always turn out bad i.e. result in sueing.Look at Apple, Foxconn and now Huawei... They should be Creative's friend instead of foe. That's pathethic. I see a vacancy for Forum Moderator. Why don't you give a try Jimmy Loh? No harm in trying Jimmy. I think you are best suited for the job. Try submitting your resume on their site. Interesting if ever...you will be our insider..lol! In business, today friend could be tomorrow enemy. There's much to learn from Steve Jobs success. How he failed and how he realised which became how he make it succeed. He reverse that and I think he is amazing. Steve is extreme kind and he build trust and quality. Sim need to reverse that. Can you give what is Creative HQ Store phone number? I have repair my headphone and some enquiry as well. When Hanzpad coming to Singapore market? We do remember Steve Jobs down period. He succeeds eventually because he builds trust and quality. Hope Sim can do the same. I suspect he lost his focus somewhere. I find this suing is weird. I read reports that Huawei delivered the equipment but it probably went wrong due to incorrect technical information or recommendation provided from Huawei. Huawei also sue Creative for non-payment. If this is so, Creative might be right to sue them but we need to understand why Creative decided to sue them. I look from technology standpoint to understand this. Wimax is dead. LTE is the clearly the future for 4G network. Recently, M1 and SingTel have implemented LTE instead of Wimax. Clearly, Creative would lose out if they implement Wimax as its dead as more devices would support LTE. It thus will be a joke if Creative implements Wimax. It’s interesting that Huawei was the vendor for M1 and its weird why Huawei doesn’t work out for Creative? Haiz... I don't see light from this company getting to do things right. your info is outdated. they are suing for much more. out of court settlement seems likely. looks like tegra3 is no match for apple a5x chip. and ipad3 has almost double the battery capacity, thicker, heavier to support the new resolution. and battery life onie same as ipad2. you should know where creative stands now. At the heart of the HanZpad platform is the ground-breaking 100-core ZMS-40 StemCell Media Processor optimized for Android 4.x. The quad-core ZMS-40 combines 96 of ZiiLABS' StemCell media processing cores with four 1.5GHz ARM Cortex-A9 CPUs to deliver stunning multi-tasking application and media processing performance. By doubling the number of StemCell Media Processors compared to the previous ZMS-20, the ZMS-40 delivers twice the peak media performance, while running the larger array at lower clock speeds to achieve the same performance. This leads to greater energy efficiency and a reduction in power consumption of up to 50 percent. With 2X the performance and 2X the power efficiency, the ZMS-40 delivers ground-breaking media capabilities to handheld devices such as tablets, including ultra-high-resolution H.264 HP decoding of up to 3840x1080 for true 1080p 3D stereo, a rich and interactive desktop browsing experience, 2560x1600 (WQXGA) display resolution support, higher-quality video encoding and immersive OpenGL ES graphics and future support for High Efficiency Video Coding (HEVC). the challenge is creative needs to update the screen to 2560x1600 and it has a killer product. even if it is a reference design you will have a long list of orders. no outside competition can support that.